For the first time in a long time UFC fans from America had to rise early to watch a fight card as the promotion hit Beijing for UFC Fight Night: Blaydes vs. Ngannou 2. They now know how hard us Europeans have to fight to stay awake during most MMA events. The home grown talent, many signed for this event, put on a strong showing. Song Yadong put in solid work with a win over Vince Morales in the Bantamweight division. The best Chinese fighter of the night had to be Yanan Wu who stopped favourite Lauren Mueller with an armbar. In this victory Wu received her BJJ blue belt inside the Octagon. The ladies continued with the submissions as Weili Zhang bagged herself with an arm bar against UFC mainstay Jessica Aguilar. He went on a four fight skid prior to his UFC release and after a netting three wins he was invited back to the promotion and he did not waste time in re-establishing himself as a skilled grappler and finisher. Smolka reflects on his second chance and appreciates the positive impact it will have on his family’s future. Overeem starched Sergey Pavlovich in the first round to get himself back to winning ways. The Reem dealt with back to back losses coming into Beijing, he suffered a devastating knockout to Ngannou and a grinding TKO defeat to Curtis Blaydes. Both of these men fought in the main event of the evening but he had designs on running it back with Francis Ngannou first. 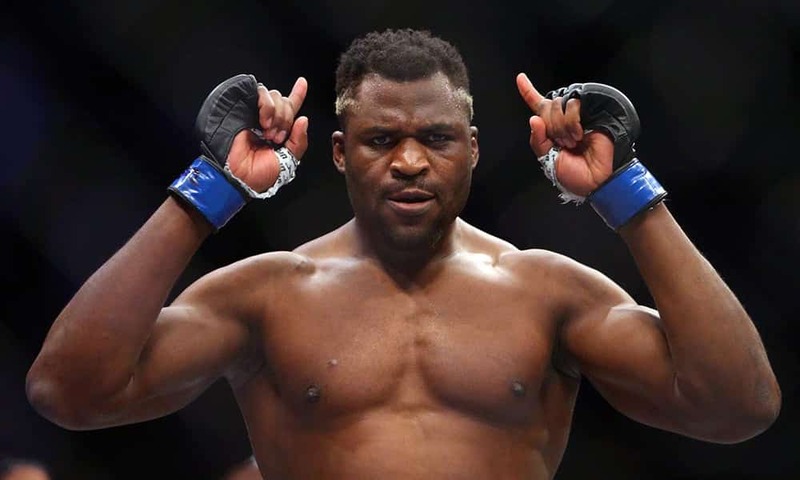 Some pundits believed Ngannou had lost all of his confidence following a systematic dismantling at the hands of the then Heavyweight Champion Stipe Miocic. Following coming up short in the title effort he put on a lackluster performance against Derrick Lewis. The highly touted phenom did not fire off his power and hesitated until the final bell. By steamrolling Blaydes he has put the Heavyweight division on notice yet again and is still possess the confidence to throw power punches. Francis Ngannou def. Curtis Blaydes TKO Round 1 0:45. Alistair Overeem def. Sergey Pavlovich TKO Round 1 4:21. Yadong Song def. Vince Morales Decision (unanimous) (30-27, 30-27, 30-27) Li Jingliang def. David Zawada TKO Round 3 4:07. Wu Yanan def. Lauren Mueller (armbar) Round 1 4:00. Catchweight (208 lbs) Rashad Coulter def. Hu Yaozong Decision (unanimous) (29-28, 29-28, 30-27) 3 5:00. Zhang Weili def. Jessica Aguilar by (arm bar) Round 1 3:41. Kevin Holland def. John Philips (rear-naked choke) Round 3 4:05. Louis Smolka def. Su Mudaerji (armbar) Round 2 2:07.